"You could almost sunbathe in here," Caleb Anderson jokes of his Gramercy Park office, pulling back the shade on the conference room’s massive skylight with the push of a button. 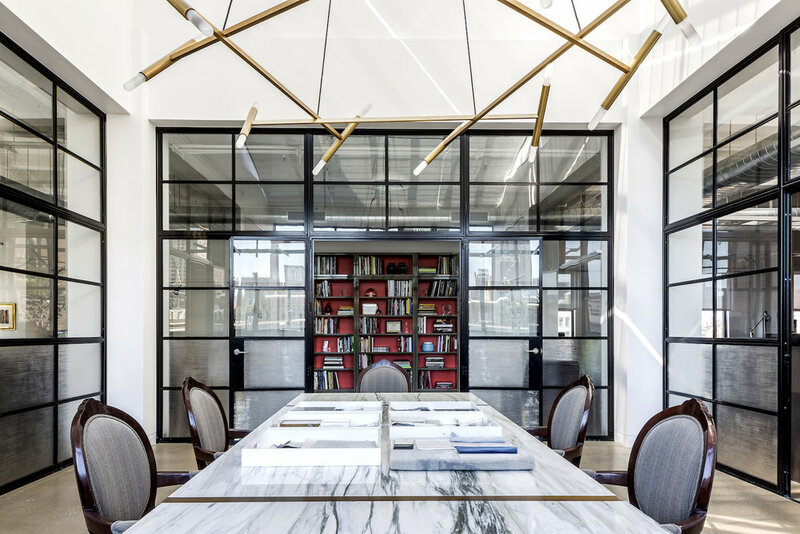 Indeed, the space where he and design partner Jamie Drake work as principals of Drake/Anderson feels almost like a greenhouse nestled in the busy heart of Manhattan. Read the full story here.